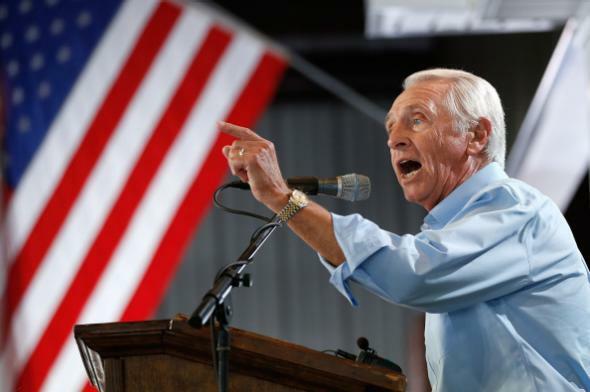 Kentucky nonviolent felon voting rights restored: Steve Beshear signs order. Kentucky Gov. Steve Beshear at the Fancy Farm picnic (!) in Fancy Farm, Kentucky on Aug. 2, 2014. Outgoing Democratic Kentucky governor Steve Beshear has restored voting rights to an estimated 140,000 nonviolent felons who have served their sentences, joining a number of states that have eliminated convict voting restrictions in recent years. (The move is expected to effect another 30,000 individuals over time.) Beshear’s move was accomplished via executive order—the Kentucky governor has always had the authority to restore ex-convicts’ rights with pardons—but he has also encouraged the state legislature to pass a constitutional amendment to make the reforms permanent.